LG Stylo 3 Price, Review, Deals, Cost, & Sales! 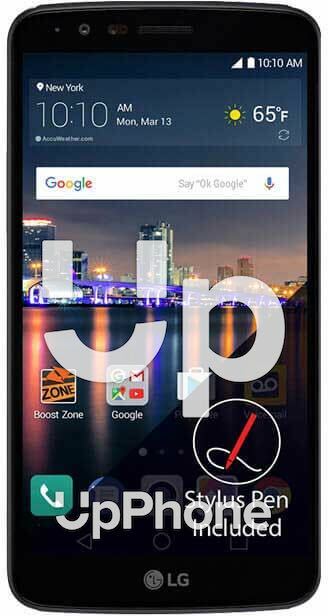 Home / Compare Cell Phones / LG Stylo 3 Price, Review, Deals, Cost, & Sales! The LG Stylo 3, as the name implies, comes with a stylus right out of the box and is often regarded as the affordable version of the Samsung Galaxy Note 8. This device has a 5.7", 1280x720 IPS LCD screen with a pixel density of 258 PPI. Images and videos appear bright and clear even when used outdoors despite its reflective screen. Its predecessor, the LG Stylo 2, has the same display screen specifications. The Stylo 3 has a 13 MP rear and a 5 MP front camera. It takes decent pictures in well-lit environments and is capable of capturing HD videos @ 30 fps. It has an onboard storage capacity of 16 GB with an expansion slot for up to 2TB via microSD. While the Stylo 2 has the same 16 GB internal space but supports up to 256 GB of expansion slot only. This device has a rear-firing speaker located at the bottom left side. It gets loud in enclosed quarters but you'll be hard-pressed listening to it outdoors. The Stylo 3 has a rear-mounted fingerprint sensor embedded in the home button. You'll notice that the reader is also clicky. The sensor is a little bit slow, often taking a second or two to unlock. This phone runs on Qualcomm Snapdragon 435 clocked at 1.4 GHz. It handles multitasking well giving the user an overall smooth performance with hardly any lag. On the other hand, the Stylo 2, has the slower Snapdragon 410. Powering the device is a 3200 mAh battery which performs really well. For the average user, it should have no problems lasting throughout the day. Screen on-time for web surfing and watching videos is around 8-9 hours while on auto-brightness. The Stylo 3 comes with a stylus and a dedicated slot, hence the name. It has a big display screen. This phone does not support fast charging. This device is sometimes regarded as the cheaper alternative to the Samsung Galaxy Note 8. For a mid-range phone, it comes with a 13 MP camera.